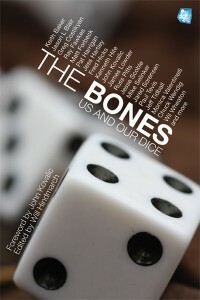 To help promote THE BONES, a collection of essays about dice, Jeremy Jones is running a series over at BookLife.com about rolling the dice in freelancing. Jeremy is an excellent interviewer who writes “the best” introductions about people. Just recently, he talked about how Matt Forbeck was his hero in If You Play It Safe: Matt Forbeck on Taking Risks In Writing. (Mine, too.) After reading what he said about me, I was thinking about paying him to write my bio for me. Sheesh. I first met Valentinelli at GenCon three years ago. I was immediately struck with her ability to distill a complex project down to its core elements and by her seemingly undying enthusiasm for whichever creative project she was working on. 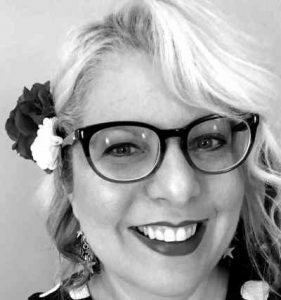 To read what my responses were, be sure to check out Always Rolling the Dice: Monica Valentinelli on Taking Risks in Writing. Not sure who else is slated for this series, but BookLife always has some great career advice for you to read. So don’t be shy and check the site out!